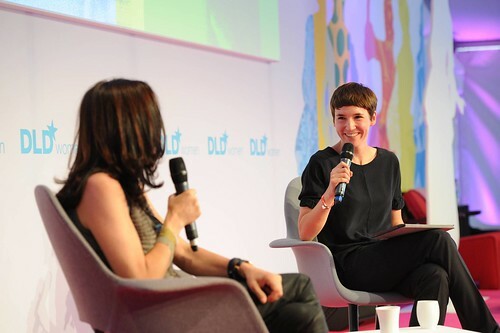 DLDwomen13 Liveblog: Where are Marla Zuckerberg, Mary Jobs and Joan Bezos? "It sounds like a terrible excuse but we do have issues on the supply side", says Margit Wennmachers about the gender gap in the tech industry. She is in conversation with FOCUS journalist Britta Weddeling, and the two women move briskly from the gender gap issue to the CIA data abuse scandal kicked off by whistleblower Snowden in the US. Returning to the Silicon Valley's ecosystem Wennmachers describes how unique the values are that shape the world's mind machinery. The special ecosystem is mainly shaped by the amount of capable employees that you can draw from to expand any IT company quickly. Wennmachers adds a personal touch when she says that her daughter is as much of an inspiration to her as her high profile job at Andreessen Horowitz, and that she loves fashion.